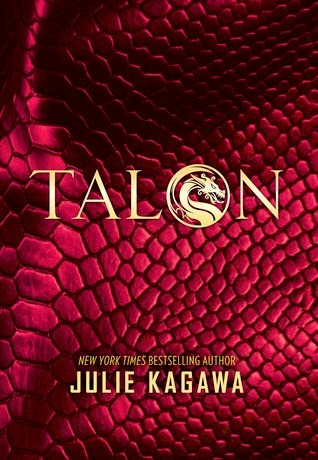 Summary:In Julie Kagawa's groundbreaking modern fantasy series, dragons walk among us in human form. My Thoughts: I always enjoy Kagawa’s series so I knew I had to read this one as soon as I heard about it! We are introduced to Ember and Dante who are brother and sister. They are also dragons. They are training to become a part of Talon. Talon is a kind of society for dragons. Everyone has a role to play, a place there. They get assigned and it becomes their life. Well, the summer they start training Ember meets a boy named Garret. He is a soldier who is out to kill her kind; dragons. She also meets another guy named Riley. Riley is a lot like her and she can relate to him on so many levels. She also gets some new friends as well. Things are ok for her. She spends the days training but at night gets to spend time with her friends. She’s ok in this lifestyle. She just wants to be normal. But how can she be normal when so many people want to kill her? And her brother is also starting to act kind of weird. I loved the plot of this one! I loved the dragon angle. I loved how Ember grew close to Garret and I also liked seeing things from his point of view. I liked that there was more to him than meets the eye. I loved Kagawa’s other series and I just have a feeling this series is going to get better and better. I loved everything explained about dragons and how things went down with them. I loved the little things that happened throughout the novel, especially at the carnival and the surfing scenes. I felt like I was right there with her enjoying the days. It was fun but also mysterious and a great plot! I don’t want to say much else about this one but I loved it! I got sucked right in and read it in a few days! Another amazing one by Kagawa!!! A must read! Overall: Great story line, great characters, great details, just all in all, GREAT! Cover: Like it! I’d definitely pick it up and it does have a dragon feel to it! HA! Wow I think this is the first review I have read where the reviewer really loved this book. Everyone seems really disappointed by it. I have been reading her Iron Fey series and I like it but I don't love it so I'm not sure if I'll love this or not but people seem to not like it so it is refreshing to see someone praise the book.